Boise Celebrates National Night Out August 6th! 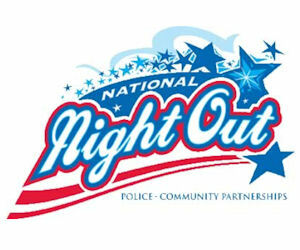 National Night Out will be celebrated here in Boise on August 6th, 2013. Once again, the Boise Police Department will promote and support this terrific community event. National Night Out has proven to be an effective, inexpensive and enjoyable program to promote neighborhood spirit and police-community partnerships in our fight for a safer nation. If you and your neighbors are planning to participate in this event by hosting a block party,please complete and mail, fax, or email the Registration Form by Tuesday, July 30th. Registration Form: Register Your Neighborhood Now! National Night Out-America’s Night Out Against Crime! National Night Out (NNO) is a unique event sponsored by the National Association of Town Watch and is held the first Tuesday in August. Last year’s National Night Out campaign involved citizens, law enforcement agencies, civic groups, businesses, neighborhood organizations and local officials from over 15,000 communities from all 50 states, U.S. territories, Canadian cities and military bases worldwide. In all, over 37 million people participated in NNO worldwide. 1. 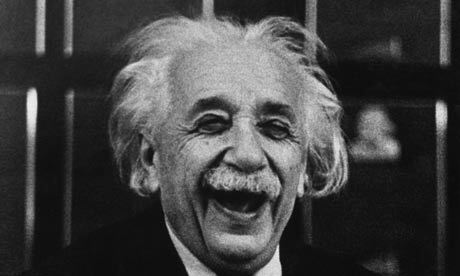 To have fun – no excuse is needed to celebrate! 2. To meet your neighbors. When you know who lives in your neighborhood, the more likely you are to identify strangers or suspicious people. 3. To increase the sense of belonging in your neighborhood. 4. To make additional connections within the community. When you know people, you can exchange skills or resources and perhaps organize a book club, baby-sitting co-op, share walking to school duties, or find new friends for your children. 5. To plan a campaign for traffic slowdown, get better lighting, or address other interests. 6. To “use” the street for one day, to, for example, play hockey or basketball or other games. 7. To meet some of the old time residents in the neighborhood and learn the neighborhood’s history. 8. To start a yearly neighborhood tradition of getting together at least once a year! Talk to neighbors and find out if there is interest in having a block party. Gather a few neighbors and divide up the tasks. Decide on a possible theme, activities, etc. Decide what to do about food. Make the invitations and distribute to neighbors. Register your event with your local police department. A few days before the event, place sign(s) in the neighborhood reminding the neighbors of the block party. Assign a specific neighbor to look for and greet the officer(s), fire fighters, paramedics, and city officials attending your event. Introduce them publicly or individually to the neighbors attending your party. Prior to the event, assign specific neighbors to specific duties. Praise the volunteers, publicly, and send Thank You notes to them. Consider name tags for everyone at your event. Maybe the children and teens could design/make them. Consider inviting area businesses to your event. Keep good records. If you have a root beer float event for 50 people, keep records of how many tubs of ice cream and two-liter containers of root beer you used. This will make next year’s event much easier to plan. Involve children and teens. One coordinator had a great response because she told the kids in the neighborhood well in advance about the parade plans and what the kids could do to prepare. Plan in advance, keep organized, and utilize volunteers. Assign a neighbor to photograph your party, and then consider posting the photos on Facebook, your neighborhood website, or send photos via email to the neighbors. When you send Thank You notes to businesses/organizations who have donated to your NNO party, include a photograph. Please visit http://cityclerk.cityofboise.org/special-events/ to obtain a permit. Boise Public Works has recycle bins available to borrow at no charge for your neighborhood events. Two styles of recycling bins are available: collapsible and yellow Rubbermaid. For more information: www.curbitboise.org or 384-3901. If you have amplified music at your block party, such as a neighborhood band, you are subject to the City Noise Ordinance (Boise City Code 6-20). Consider printing off flyers and go door-to-door or email the neighbors. The flyer would include a contact phone number the day of the event, and then if someone has an issue with the music they can call the number on your flyer to handle their complaint. Have everyone bring their favorite family dish. Record the story of how everyone came to live in the neighborhood and what he or she likes best about it. Identify any special people that lived in your area such as the longest resident, politician, artist, military personnel, etc. The above was published by the Boise Poice Department 7/1/13. A ticket can raise insurance rates and tarnish your driving record. 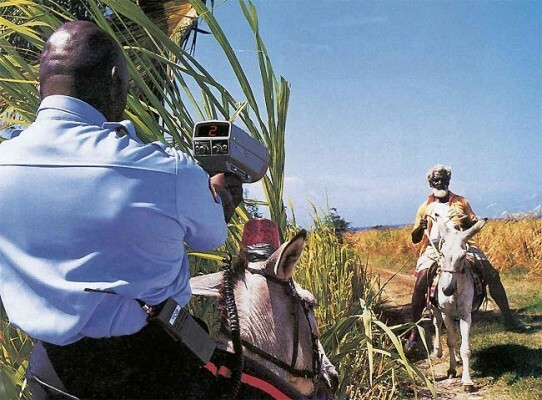 If you get arrested or fined for other traffic violations, those tickets can lead to stiffer fines and penalties. “What every floater should know! The Boise River is truly a gem for Idaho’s Capital City. From fishing to floating, picnics to parks, more people are using the Boise River than ever before. 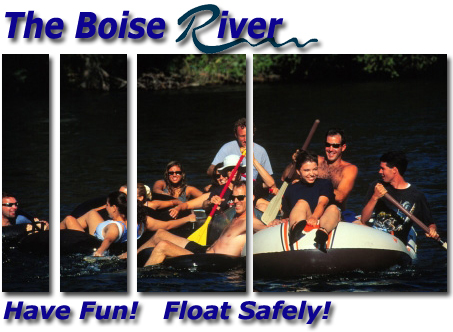 The following is a list of tips, rules and laws that will help make your float down the Boise River safe and fun for you, your friends and family. Barber Park is the starting point for most Boise River floaters. Barber Park is an Ada County Park, located six miles from downtown Boise on Eckert Rd. between Warm Springs and Boise Ave. Raft and inner tube rentals are available at Barber Park through Epley’s Boise River Rentals. Free air stations available for floaters to fill their own rafts and tubes. The Boise Parks & Recreation Department has established four rest stops along the main floating route between Barber Park and Ann Morrison Park. Each stop includes trash receptacles with regular pickups. The River Quarry site includes a port-a-pottie; permanent restrooms are located in the stops at Julia Davis and Ann Morrison Parks. The map designates the floater rest stop locations. Directional signs approximately 100 yards before each rest stop will indicate site amenities available. River Quarry is located on the left hand side of the river just before the Marden Bridge (Baybrook Court Bridge). Site has restroom and trash facilities. The popular Marden Bridge (Baybrook Court Bridge) site is located on the right side of the river and is currently used by numerous floaters. Site has trash facilities. Julia Davis Park site is located on the right side of the river. Trash facilities are located behind the site and restrooms are available across the road near the bandshell. Ann Morrison Park, which is six miles downstream from Barber Park, is the take-out spot for floaters. The Boise City Parks and Recreation Department has developed two take-out spots to relieve congestion — both on the left side of the river– on both sides of the footbridge. Restrooms, trash and recycling bins are available for you to use at the take-out. Floaters can park inside Barber Park (parking information) or at Ann Morrison Park. A shuttle runs regularly between the two parks visit Epley’s for more information. There is a cost to take the shuttle. All floaters and those using Boise area parks are asked to be a good neighbor and not park on nearby residential streets. For safety, some streets around Barber Park are posted as No Parking Zones. Violators risk a citation. Idaho law requires all vessels, including rafts, kayaks and canoes be equipped with a life vest for each person on board. Children 14 years of age and younger onboard vessels 19′ or less are required under Idaho law to wear an approved life vest when the vessel is underway. Floaters older than 14 who are not strong swimmers are urged to wear life vests at all times. Open containers of alcohol are not allowed on the Boise River or in Boise City parks within 250 feet of the river as posted. Beer and wine are allowed in Boise parks outside the 250 foot riverbank zone, unless otherwise designated. Permits are required for individual possession of beer/wine of more than 7 1/2 gallons (pony keg = 7 3/4 gallons, 3 cases = 6 3/4 gallons). A Beer/Wine Permit can be downloaded and submitted in accordance to rules and regulations as outlined on the application. Glass containers of any kind are not allowed on the Boise River or in Boise Parks. Please carry your beverages in plastic or aluminum containers. No one wants to see litter in the river. Littering is illegal. Boise Parks & Recreation Department has provided trash and recycling bins at the rest stops and at the take-out in Ann Morrison Park for your use. Smoking is prohibited in all public parks, facilities and within 20 feet of the Boise Greenbelt. Smoking is permitted in designated areas within Ann Morrison and Julia Davis parks. Boogie or river boarding is prohibited in the Boise River within the City of Boise, which for the typical float, begins immediately after you float past Barber Park. Safety must be the priority while on the river. While jumping from bridges, trees or rocks into the river is not illegal, those who do so should be aware that doing so can be dangerous, and that they are jumping at their own risk. It is illegal, however to jump from or throw or drop any object, including a person, from any bridge, tree or other landscape features into the Boise River within fifty (50) feet of any boater, floater, rafter or tuber. Congestion on the Greenbelt at various bridges, primarily Marden Bridge, results in complaints from greenbelt users and is also a safety concern. When using the greenbelt, remember Boise City Code prohibits obstructing the path way, bike lane, sidewalk, or roadway of any bridge in the city or causing the flow or movement of pedestrians, bikes, or vehicles to be obstructed. This also applies to the immediate area surrounding the access to the bridge. “Obstruct” means to stand more than two persons deep along the railing or side of any bridge or along the side of any bridge access way or occupy all or such portion of the path, lane, sidewalk, or road, as to block or delay more than momentarily safe passage of another person or vehicle using the path, lane, sidewalk, or road lawfully and carefully. Basically, be courteous and be sure that wherever you are on the Greenbelt, others can also safely use the pathway. Camping is not allowed on the Boise River or in Boise City parks. The environment along the river is ever changing and new hazards can appear at any time. The Boise Fire Department and the Boise Parks & Recreation Department continually monitor the Boise River recreation area throughout the season for snags or significant hazards. The City works with our river partners to mitigate those hazards for the community. It should be emphasized that the combined resources of the City of Boise and Ada County cannot clear the river of ALL hazards ALL the time. Users of the river use the river at their own risk. If you see a snag or hazard in the river, please report it immediately to Ada County dispatch: 208-377-6790. If you need emergency assistance along the river or greenbelt, DOTS, or the Directional and Orientation Trail System can help. DOTS are a series of 20-inch white spots painted onto the Greenbelt pavement every tenth of a mile. Inside the white spots are black numbers and letters that describe your location. The numbers represent how far that spot is from the base, or “zero” spot, which is located at the 8th Street pedestrian bridge on both sides of the river. The letters inside the spot indicate what sector of the Greenbelt it is on, such as the northwest quadrant, or the southeast quadrant. If you need help and can get to a DOT, emergency dispatchers can send help your way even faster. Mornings or early afternoons are quietest along the river. Late afternoons and evenings are very busy. All floaters are encouraged to wear tennis shoes for safety and comfort. Floaters are urged to watch for overhanging branches or swift currents that may cause rafts to overturn. Floaters should call 911 if they see a life-threatening or emergency situation.